We’ve had beer ice cream before, but never as potent as this. For San Francisco Beer Week, Smitten Ice Cream teamed up with Marin Brewing to make four flavors, each with an ABV as high as beer in its liquid form. Wine no longer gets to have all the fun. Typically, the downfall of most beer ice cream is that the alcohol is cooked off when making the custard base. But Smitten uses a flash-freezing technique that employs liquid nitrogen. That keeps the alcohol in the ice cream and could give you an actual buzz. They are hosting two tastings during beer week on February 10 and February 12. The February 12 tasting is sold out, but they are considering adding additional tickets due to its popularity. There are, however still tickets left for the February 10 event. So if you’re the sort of person who likes combining your drinking and dessert you should sign up ASAP. Made with Marin’s export stout, there’s a good balance between the roasted malt flavors of the beer and the sweet cream and caramel. The rich malted vanilla stands up to the big, sweet barleywine. 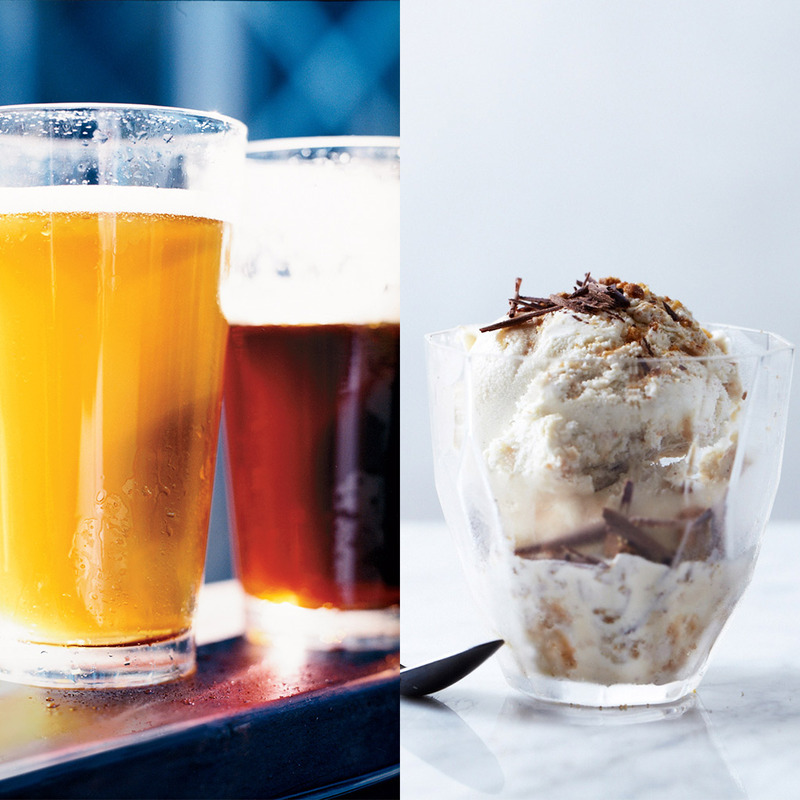 For those who think the idea of alcoholic ice cream is a bit odd, there’s a beer float. Local chocolatier TCHO provides chocolate for both the ice cream and the bittersweet porter in this float. There’s one more flavor still under wraps but Smitten tells us it will likely feature a citrusy IPA or a Belgian-style ale. Beernana splits here we come.